MOSCOW, July 26. /TASS/. China has received the first batch of Russian-made S-400 Triumf missile systems, a military diplomatic source told TASS on Thursday. 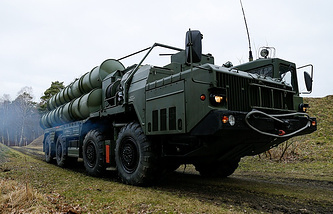 "Last week, an acceptance certificate was signed for the first batch of S-400 systems that was delivered from Russia by sea in May 2018. The systems passed over to China’s ownership once the documents was signed," the source said. Russia’s Federal Service for Military Technical Cooperation refrained from comment on this information. 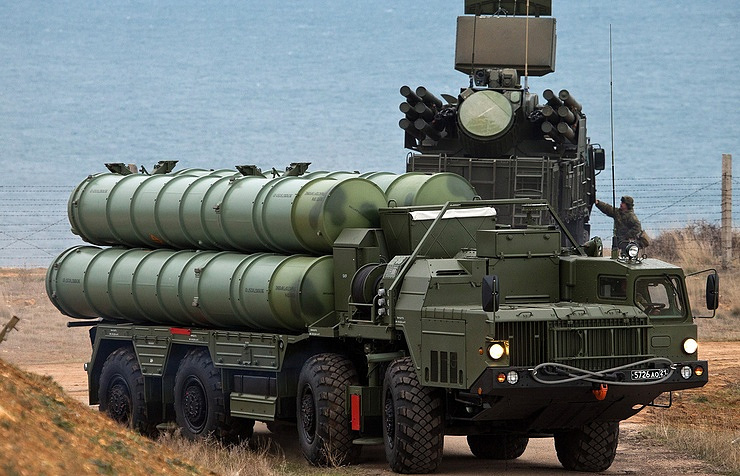 Reports on Russia signing a contract for sales of S-400 systems to China came in November 2014. In November 2015, Russian president’s adviser on military technical cooperation Vladimir Kozhin confirmed these reports. China became the first foreign buyer of these systems and will receive two batches. Russia’s S-400 Triumf (NATO reporting name: SA-21 Growler) is the latest long-range antiaircraft missile system that went into service in 2007. It is designed to destroy aircraft, cruise and ballistic missiles, including medium-range missiles, and surface targets. The system can hit aerodynamic targets at a range of up to 400 kilometers (249 miles) and tactical ballistic targets flying at a speed of 4.8 km/s (3 mi/s) at a distance of up to 60 kilometers (37 miles). Such targets include cruise missiles, tactical and strategic aircraft and ballistic missile warheads. The system’s radars detect aerial targets at a distance of up to 600 kilometers (373 miles). The system’s 48N6E3 surface-to-air missiles can hit aerodynamic targets at altitudes of 10,000-27,000 meters and ballistic threats at altitudes of 2,000-25,000 meters.